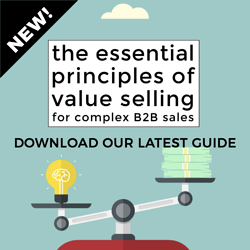 As you can imagine, I get to speak to a fair number of B2B-focused CEOs and sales leaders - and I can’t recall any of them ever disagreeing with the principle that effective sales coaching is an absolutely critical skill for first-line sales management. But the latest research from CSO insights suggest that 3 out of 4 companies are taking the wrong approach to sales coaching - an approach that is clearly holding back both individual rep performance and overall revenue achievement. You can see the breakdown (with simplified labels) in the chart below. 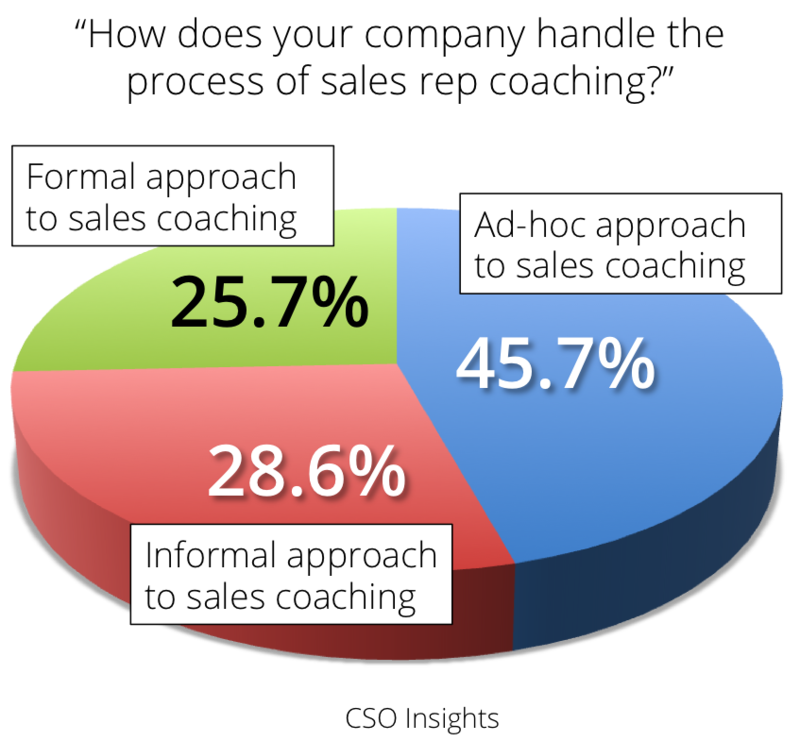 The most common response was that the sales coaching process was left to the individual sales manager. The next largest group had an informal process. But only a quarter had established a formal, company-wide process. As you can see, there is a pretty dramatic difference between companies that permitted an ad-hoc approach to coaching versus those that insisted on a formal process. And even those companies that had an informal framework could do even better if they evolved it into a formalised, well-documented system. Actually, in the companies that I most frequently work with - expansion-stage companies that are typically seeking to grow revenues at a significant rate, and are as a result expanding their sales organisations rapidly - the gap between the informal and formal approaches appears from my experience to be far wider (by the way, this is my conclusion, and not contained in the CSO Insights report). In fact, the ability to formally and systematically induct and coach new hires in a structured manner that reflects best sales practice often seems to make the difference between a successful hire and failing to get the best from recent recruits. That’s not to say that coaching isn’t invaluable across the whole sales organisation - I have seen it proven to my complete satisfaction that you can, in fact, teach (or coach) old dogs to perform new tricks - but it’s particularly critical when sales people need to follow a rapid learning curve. This might sound like an intimidating amount of work, but it isn’t. Even a simple, basic structure can deliver tangible benefits. Having shared diagnostics (so managers know where they should be spending their time, and on what), and shared best-practice coaching frameworks (so managers know how to maximise the learning from coaching opportunities) can be incredibly productive. This is just as well, because as I've suggested, it’s the smaller, faster growing companies that in my experience can gain the greatest benefit from a formal sales coaching programme. 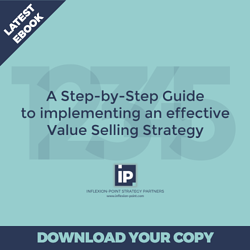 Oh, and one final point: I’d strongly advise that any investment in formalised sales training be backed up by an equivalent commitment to on-going coaching and reinforcement. If you don’t, you’re almost certainly wasting most or all of your training investment. I’d be happy to share some of the lessons learned. Get in touch if you’d like to find out more about how to establish an effective, formal sales coaching programme in your organisation.